The turkey is no doubt important on Thanksgiving Day. 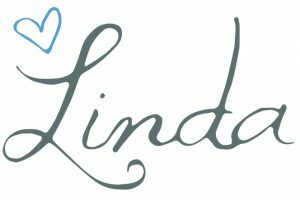 However, the table is the place where loved ones gather around and the time you spend decorating your table will allow them to feel how thankful you are for each one. 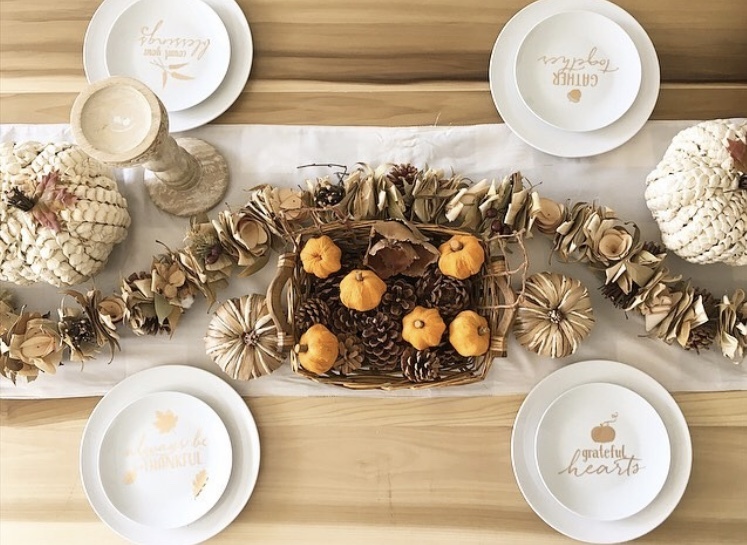 So, join us as we show off Thanksgiving tablescapes. Pumpkins are used in almost every Thanksgiving tablescapes centerpiece. They might take center stage, but they don’t steal the show. Table runners, napkins and chargers also play a big part in adding color and texture to these Thanksgiving tables. Tiffany’s table scape is simple but sophisticated. The black and white decor is classic. 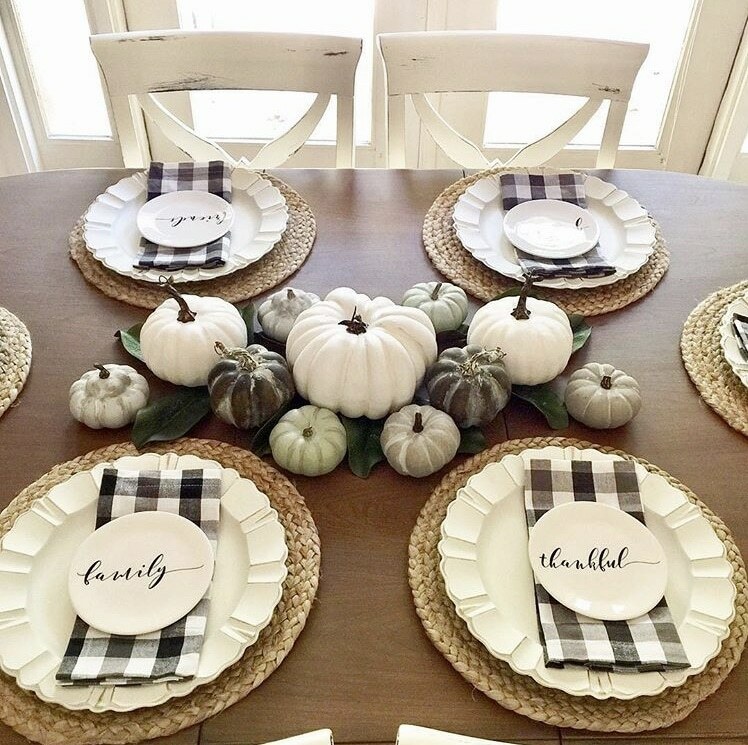 Individual messages on each plate allows loved ones gathered around the table to feel special in their own way. 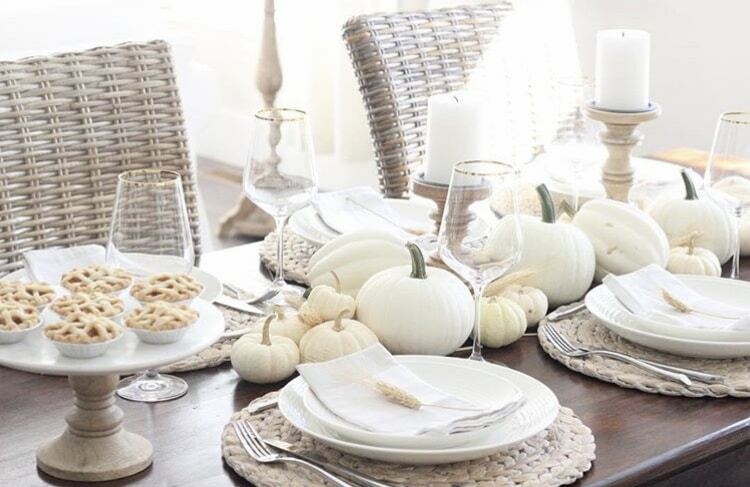 Placing a stalk of wheat on each napkin is a great farmhouse touch to this neutral Thanksgiving tablescape. 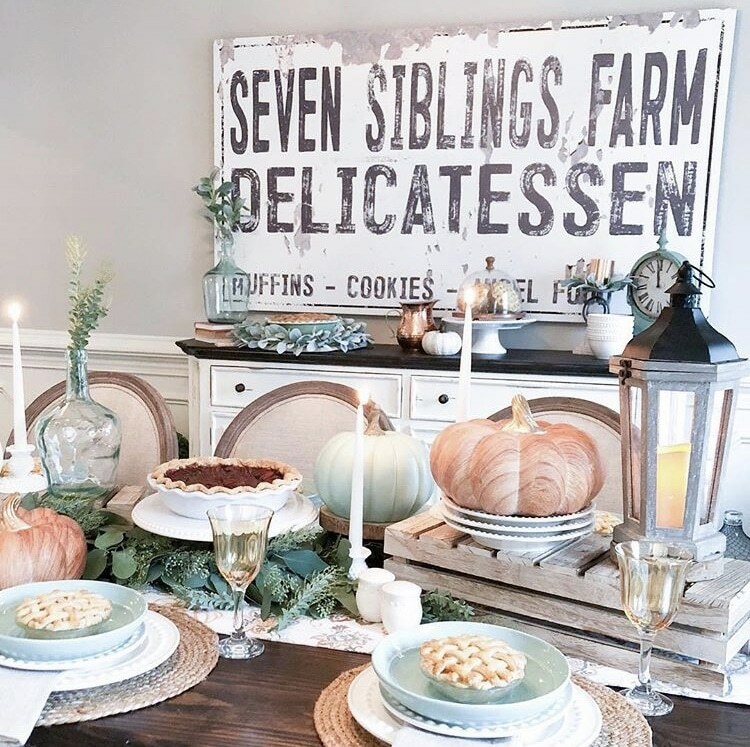 The mini pies on a cake stand remind us of the Hygge Inspired Thanksgiving Table we set up. Food is a great thing to incorporate into your decor. Mixing metals and glass with foliage and gourds makes this table exquisite. 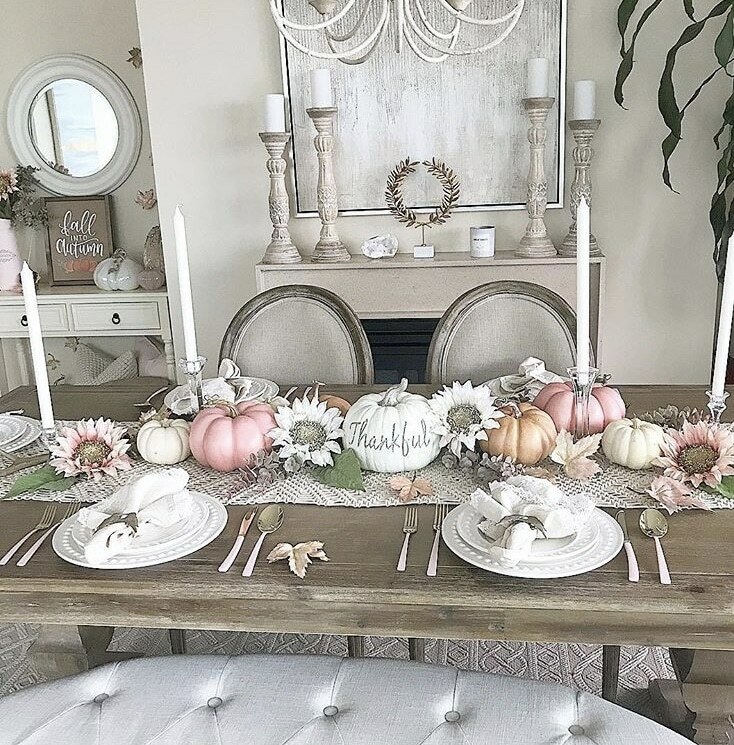 Shiplap chargers topped with copper plates give this Thanksgiving table scape a farmhouse sophistication. 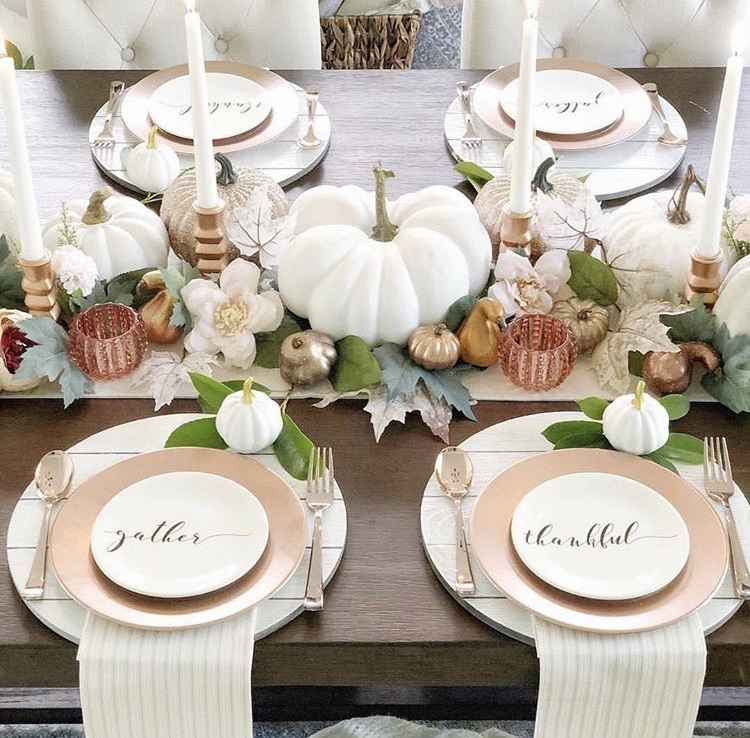 Jenny’s Thanksgiving tablescape has beautiful colors! They aren’t the traditional colors of fall but are more muted. 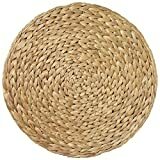 The browns in the crate and the woven chargers are lighter. The oranges are gorgeous peaches and corals. And white pieces lighten up the whole set. Sunflowers that are blush and white give this table setting a dreamy look. The napkins are sweet and the table runner has a precious lace detail. Thankful encompasses what Thanksgiving is all about and setting a pumpkin stating just that is perfect. 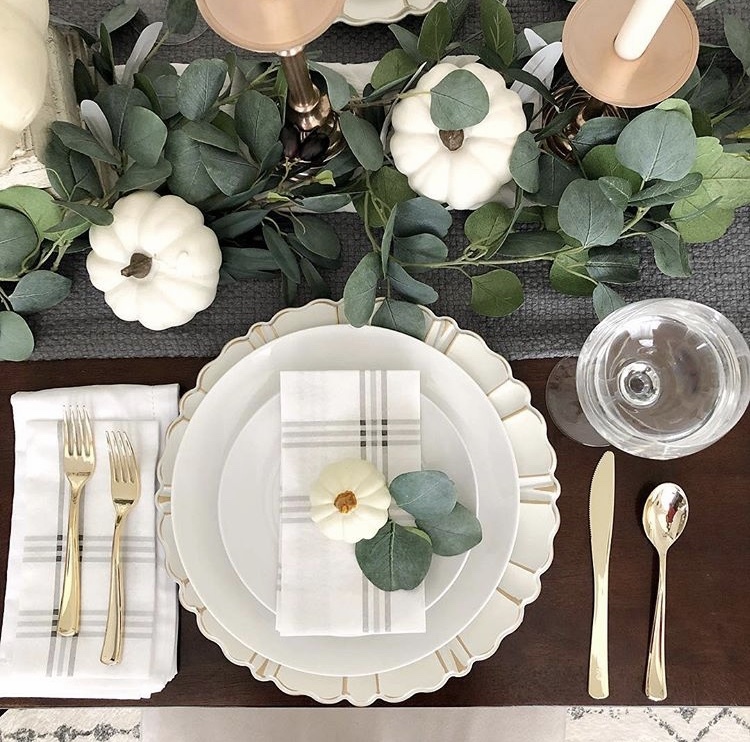 Gold is a beautiful accent color for Thanksgiving table settings. Eucalyptus is also a farmhouse favorite! The chargers used here with white mini pumpkins are totally adorable! 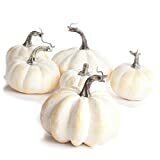 It reminds us of our Small Pumpkins Decor post which will give you loads more ideas with small pumpkins. The rustic look of this table is so inviting. The garland connects each person at the table. Such great reminders on each of these plates. Grateful hearts will gather around this table indeed. 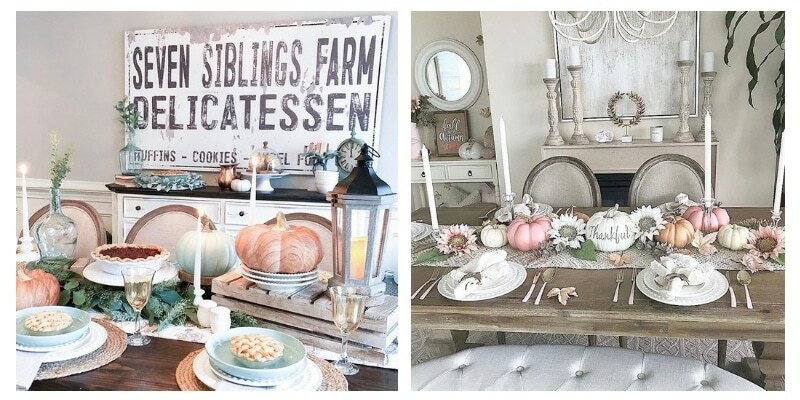 These Thanksgiving tablescapes are gorgeous and so inspiring. 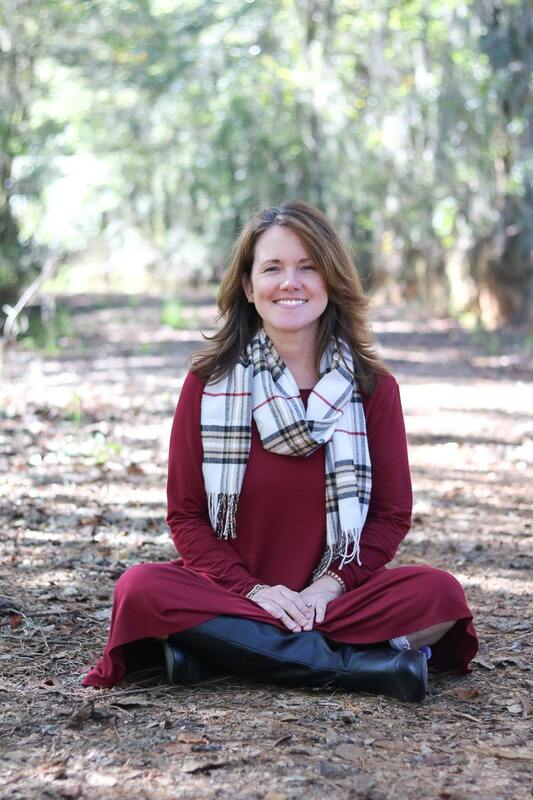 Bringing out the grateful spirit in each of your guests is a great goal this time of year. If you’re still looking for more table settings, we have more of you over here. We’re thankful our paths have crossed with each one of you. I’m doing Thanksgiving this year so I was already looking for ideas. Love the black-and-white, first one.